That's an interesting way of illuminating those solaria on the ends of the Cathlamet. It sure does highlight the bluish-white paint that WSF uses for their vessels! Similar lighting is on the solaria of the Issaquah. The Issaquah still has incadesants for the solarium lighting. I wonder if those lights in the solarium on the Cathlamet are CFLs (the Klahowya has one on the #2 end shelter area next the top deck ladder). One of the engineers told me a while back that they were slowly switching over to LED lights on the boats, which may account for the kicking up the bluish tinge to the paint. I'm assuming that LEDs are being used in the navigation lights now when the boats go in for work (they seem brighter and the green lights seem to be more bluish in tint). I wonder if they were the GE Reveal bulbs? IIRC they had a slight bluish tint to them. 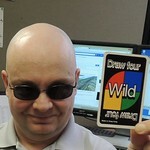 Could be wrong, although it was a night crossing I took on the Issaquah, tho. It goes beyond the color of the "daylight" type of lights. These ones really have a blue tint to them. I didn't study the actual bulbs much and can't say if they were LED based...Does anybody make LED bulbs that fit in a socket like that? It would sure cut down on the cost of replacing bulbs that are on most of the time...Take the KDT boats and the lights around the sun deck that are always on-they are already needing to replace a lot of burned out bulbs. LED bulbs are available in quite a few different sockets now in retail and even more for trade. I have been gradually replacing all the lights in the house that aren't already CFL. I have about 14 potlights in the kitchen. About a third are changed over. All are warm white (slightly more yellow than an incandescant bulb). I find the cool white (slightly bluish) seem to be slightly brighter but looked more clinical with so many. Changing from the PAR15 Halogen spots used before, made a big temperature change in the room this summer. As I change over the rest it will be interesting if the room will feel colder in the winter. The $20 cost of the bulbs are why I am doing it over time. One of the benefits of the new lights is that fewer bugs are attracted to them. Maybe the ferry had a mosquito problem . For commercial applications it is easy to wire in a new fixture. LED strip lights for example to replace CFL tubes. One thing I found out recently that I never knew before, is that vibration cuts down on the lifespan of a CFL. For example in the lights attached to a ceiling fan. LED aren't. I would think the vibration from props reversing etc. might be sufficient to lower the CFL longevity. A question I have, beyond the maintenance savings, is the saving of electrical draw of any consequence on a ferry? 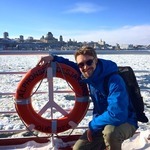 An engineer I sailed with on one of the boats computed that lowering the wattage of the fluorescent tubes from 40-watt to 32-watt would save... I don't recall, but it was in excess of $10,000 a year in fuel demand not made. I don't know how far he got in the execution; he has since moved on to another job. ...is returning to service today, currently in Clinton. There's a flurry of radio traffic about how the swap will go. Interesting listening. 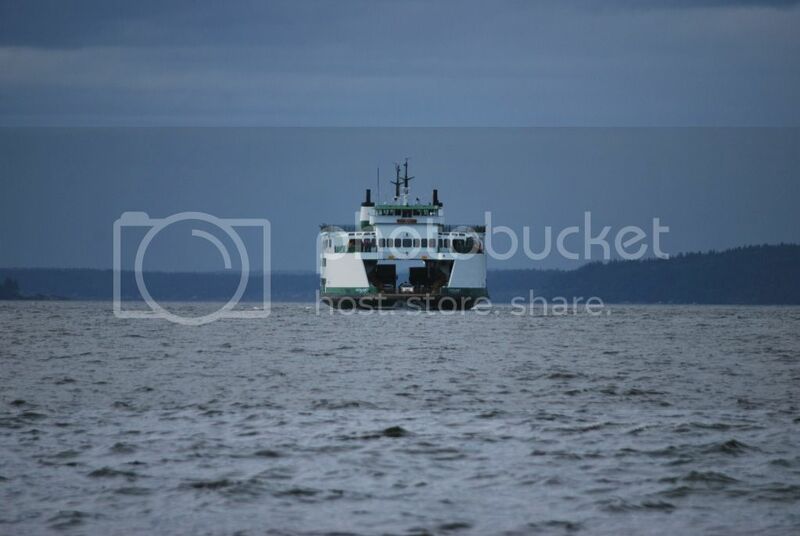 Cathlamet is going to be in Eagle Harbor from September 30 to October 10. Occurring to the laterest maintance schedule. 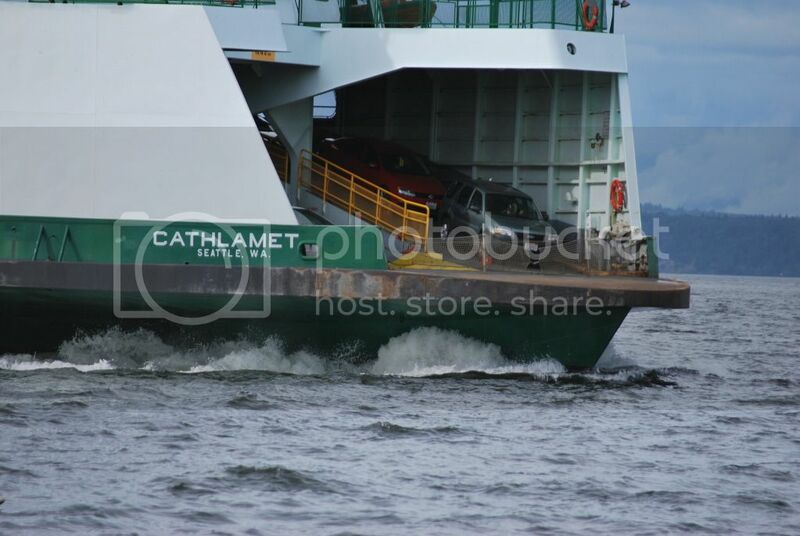 Cathlamet is almost in Eagle Harbour. 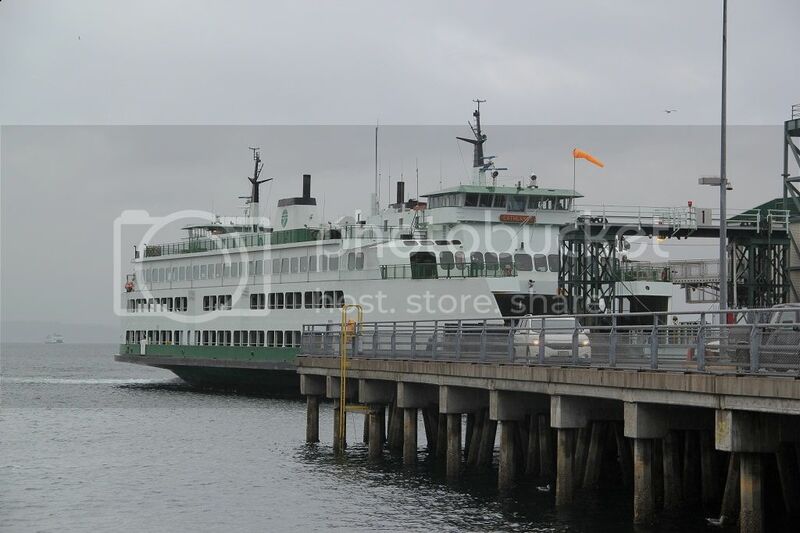 Beginning with the 1:30 pm departure from Seattle, the Cathlamet will replace the Kitsap for the duration of the weekend while the Kitsap undergoes necessary repairs. The galley will remain closed on the Cathlamet; however, snack and soda machines are available. Wi-Fi service is also available on the Cathlamet. We apologize for the inconvenience. 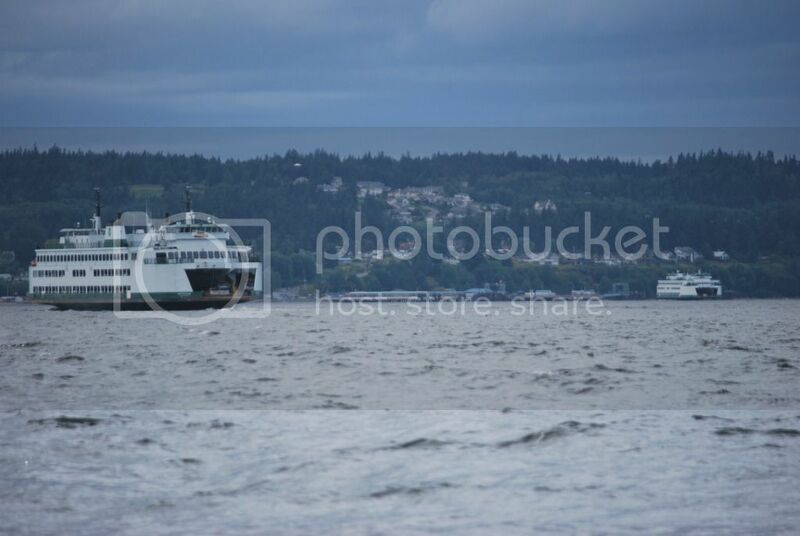 Out of curiosity, has the Cathlamet ever sailed on the Bremerton route? If she has, it has to be rare and very early on in her career? Once that I'm aware of, on a weekend back in 1999or 2000. It was for similar reasons--the Kitsap needed repairs and the Cathlamet happened to be close by at Eagle Harbor and could fill in. Better break out the WD-40 for those overhead loading gates on the pickle forks. When I rode her a few weeks ago they were looking a little on the rusty/painted over side. Nothing a whack with a sledgehammer wouldn't fix. 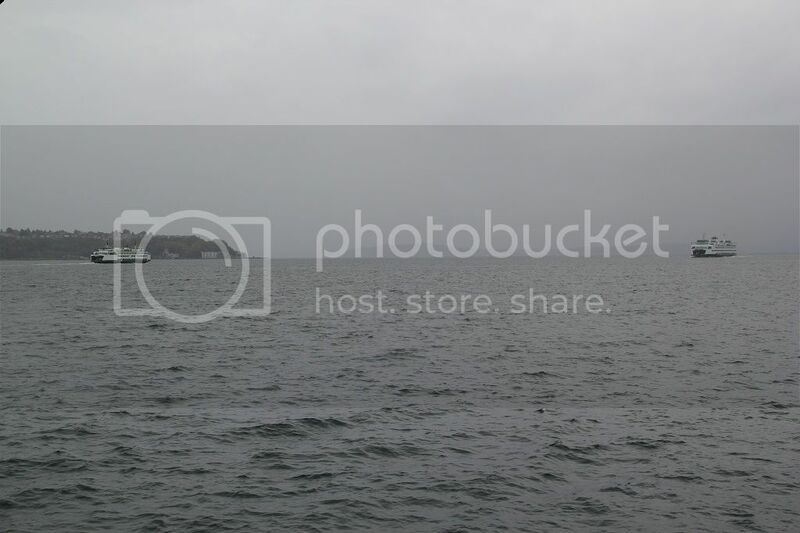 When I looked at the Vessel Watch on my WSF mobile app this afternoon I about died of a heart attack. I can't recall seeing Cathlamet on that run. Much less visualizing it! What is this the equivalent of? Seeing the Queen of Burnaby or a Spirit on BCF route 3? Not quite. More like seeing the Queen of Surrey on Route 2 - A boat that is capable of being transferred, but doesn't see it often. 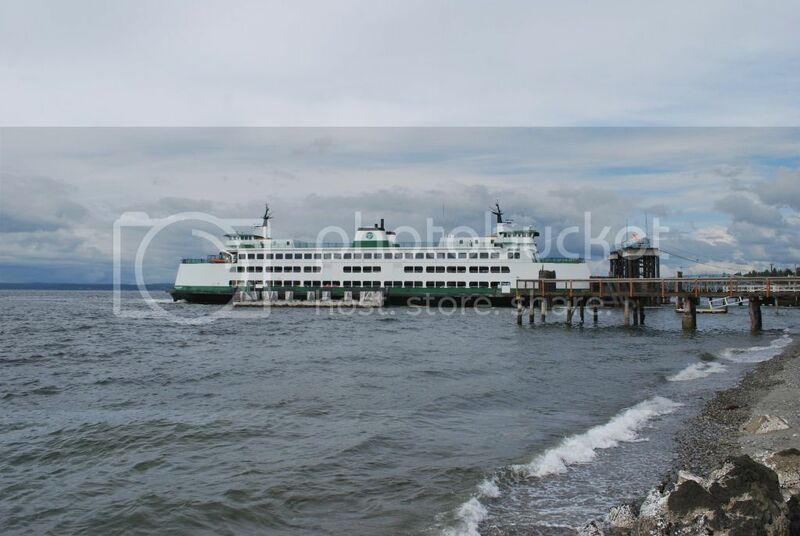 The Cathlamet has been a mainstay on Mukilteo/Clinton ever since I can remember, along with her partner in crime (for the most part), Kittitas. 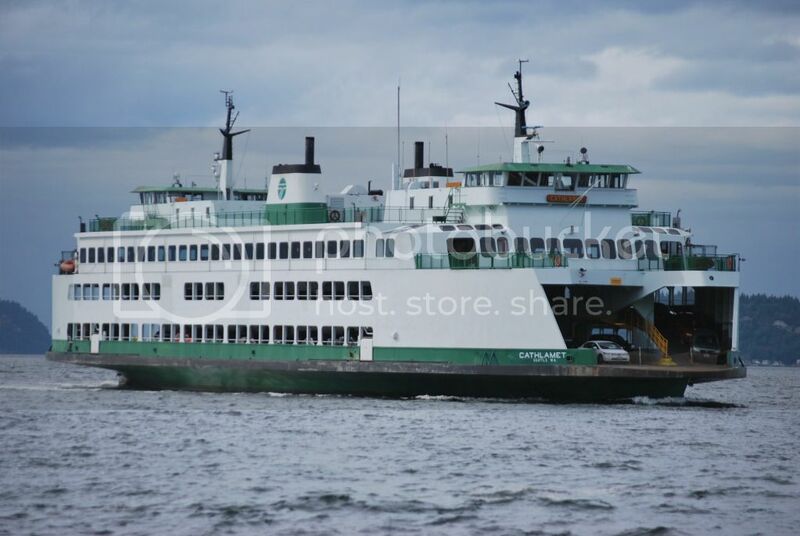 Short of pinch-hitting (as illustrated this weekend), the Cathlamet has been on Mukilteo-Clinton since it was built. This is a pretty rare opportunity for her crew to open those throttles up! While the Cathlamet has been on the route since she was built, the Kittitas spent the first 15 years of her life bouncing around the system. While she spent plenty of time during those periods on Mukilteo Clinton, I certainly remember riding her in the San Juans on hot summer afternoons in the early 90s and I know she served her time on Seattle - Bremerton as well. But since the late 90s, she's been the Cathlamet's partner pretty much exclusively at Mukilteo Clinton. 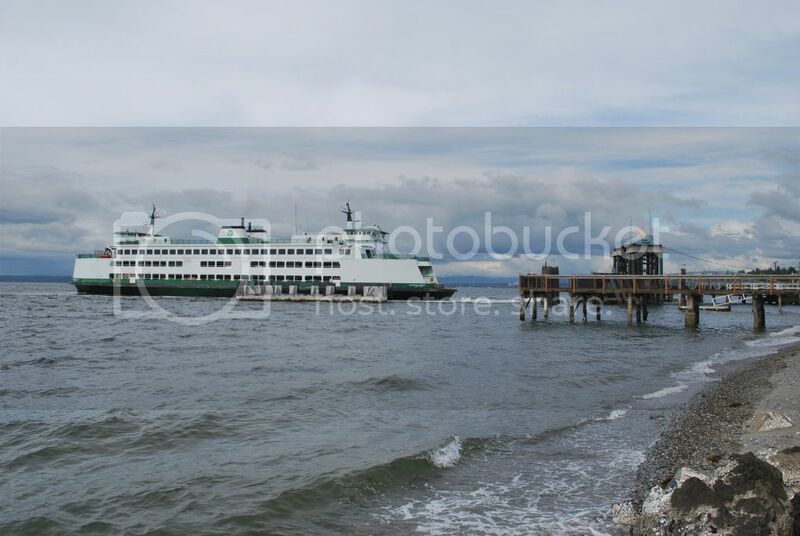 She is now back on the Mukilteo-Clinton route now. I guess they got those overhead walkway gates open! 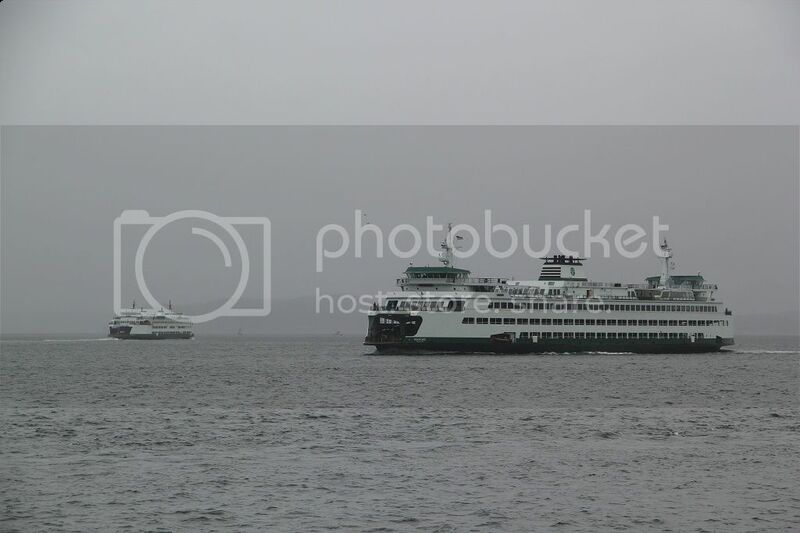 Wait a minute, was the Cathlament running Seattle-Bremerton or making a stop before going to Winslow?